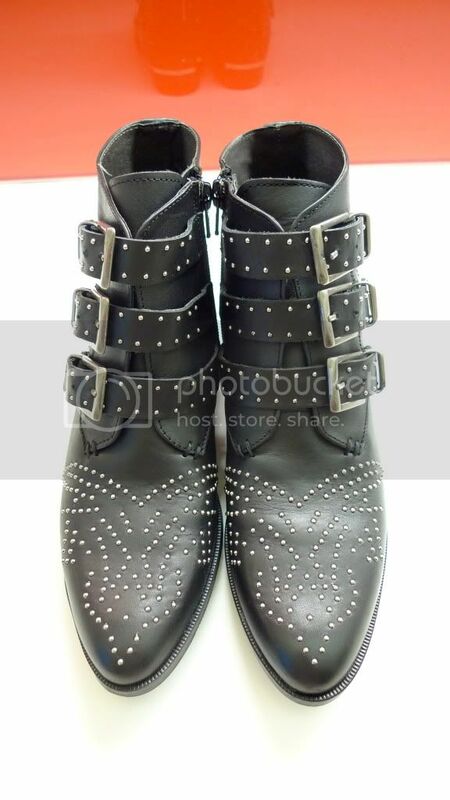 When I had the chance to buy these boots I hesitated. I questioned the price and the amount I would wear them. Foolish! I would have worn them plenty, I've dreamed about them nearly every day since and that would make the cost per wear price well worth it. A lesson learned: WHEN IT COMES TO SHOPPING HESITATION CAN BE FATAL. 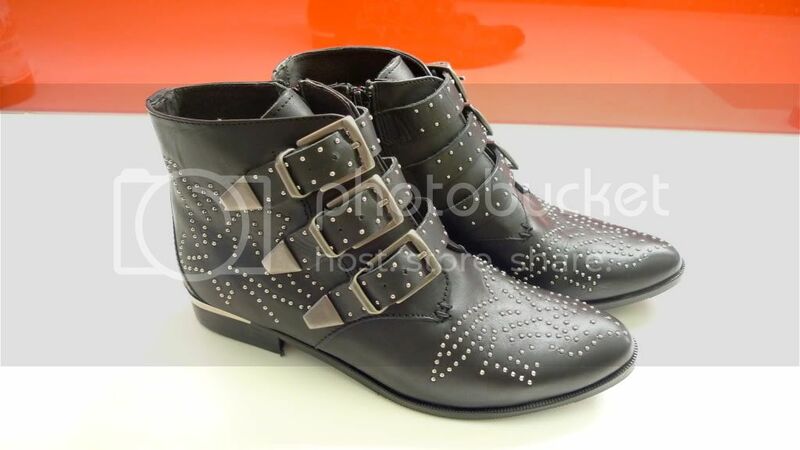 Since that black day when I gave up my chance to own the fabled Chloe boots I have been in search of an alternative. 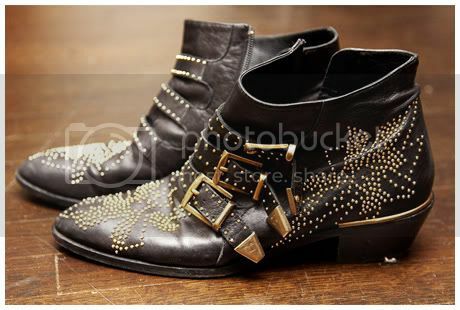 Jeffery Campbell did a good enough version for LF but they sold out in New York before I could get my hands on them. 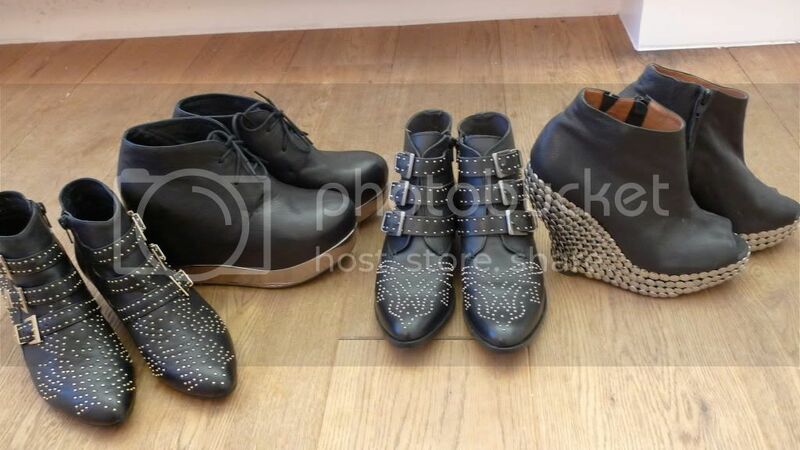 Cut to months later, I'm back in London browsing online for studded boots (I do this a lot) and I find not one but TWO pairs that will do nicely in lieu of the Chloe's. It's always the way isn't it!? You go months without finding what you need and then lots of it comes along at once! This also happened to me in LA right before I left. I went into LF to check if they had the Jeffery Campbell wedges that I'd been hunting down and they not only had them in black, they also had them in cream AND they had another pair of shoes that I had given up hope of ever seeing in the flesh. Here's a little homage to all of those lovely shoes. The Alexa. Limited edition Jeffery Campbell for LF. I wanted the ACNE version so bad, they were a touch more sleeker and had a higher heel but these were a fraction of the price and were good enough for me. The same day I found the alexa I also found these beauties. The Tick peep toe wedge. Also limited edition Jeffery Campbell for LF. I found both of those on the day I was leaving LA. My suitcase was so full I had to carry them both in my hand luggage. Totally worth it. These are from Office and they tick all of my studded boots boxes. 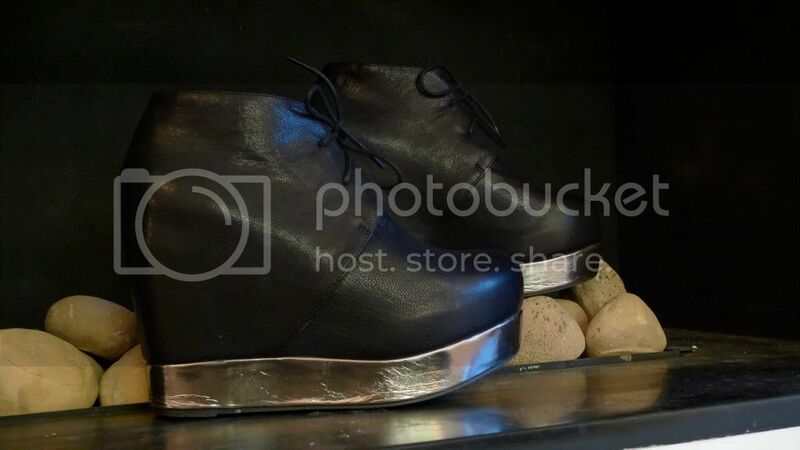 I love the metal plate under the heel. The Chloe ones has the exact same thing. These ones are the Jeffery Campbell ones that sold out in New York, I randomly found them in Urban Outfitters in London. Last pair! I like the density of the studs on these and the fact that they are gold. 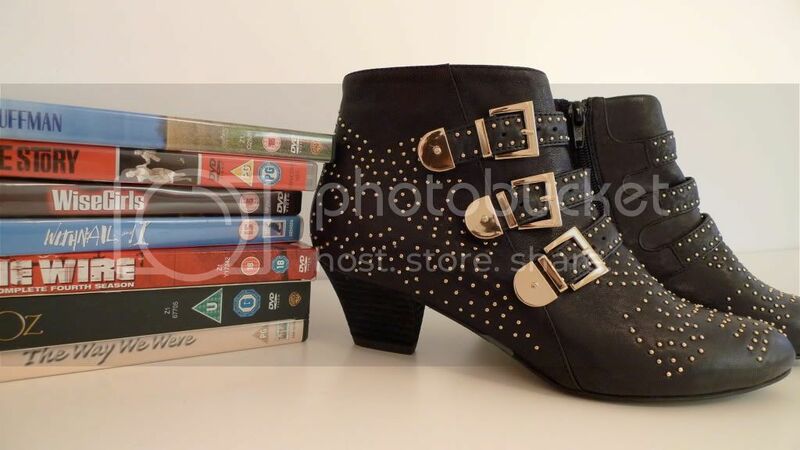 I'm not keeping both of the studded boots. I'll take a pair back or sell them on... I haven't decided which ones to keep yet. I'm grateful for any opinions! 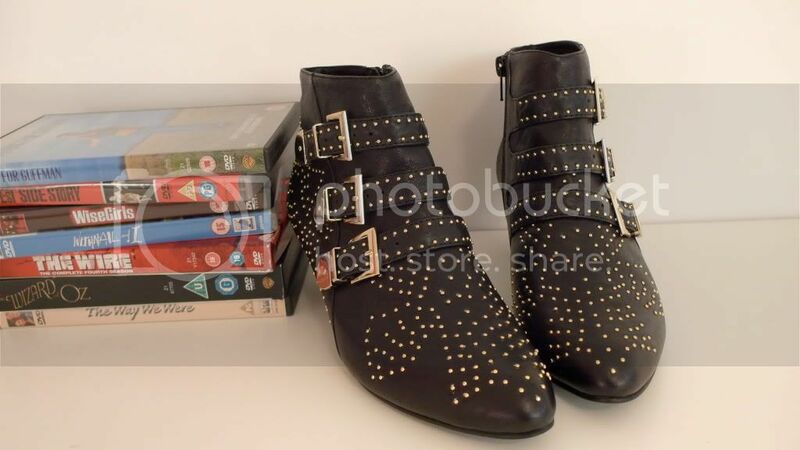 At the moment I feel like the Office ones give me the roughness of the Chloe boots that I so craved but that the JC ones have that great black and gold thing going for them.